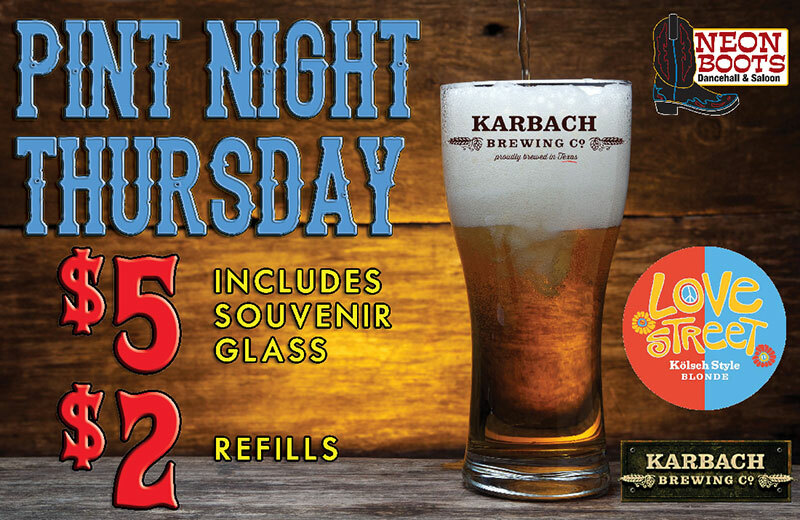 Keep glass to take home and bring back every Thursday. 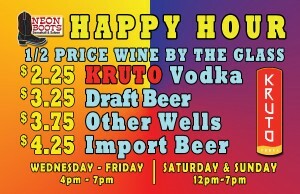 HAPPY HOUR DRINK SPECIALS UNTIL 7PM 1/2 Price Wine by the Glass $2.25 Kruto Vodka $3.25 Draft Beer $3.75 Other Wells $4.25 Import Beer Note: Happy Hour Drink Specials not available during special events. Ask bartender for details. 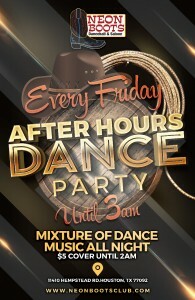 9:00 pm LATIN NIGHT DANCE PARTY TIL 3AM!!! 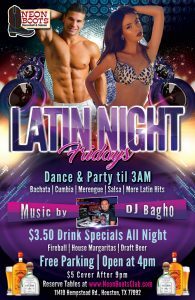 LATIN NIGHT DANCE PARTY TIL 3AM!!! PRIDE IN THE COUNTRY WITH PRIDE HOUSTON! Stay informed. Sign up for email updates. Stay Updated about Upcoming Events. ©2014-2017 Neon Boots Dancehall and Saloon. All Rights Reserved. Prices and offers may change. Not responsible for any errors on this website. MUST BE 21 TO ENTER | Neon Boots reminds you to DRINK RESPONSIBLY! Site managed by VAST Marketing Group.